This is the last spotlight for a giveaway that will be directly on Mommy's Favorite Things! I have one more to write for the Grand Prize though!!! 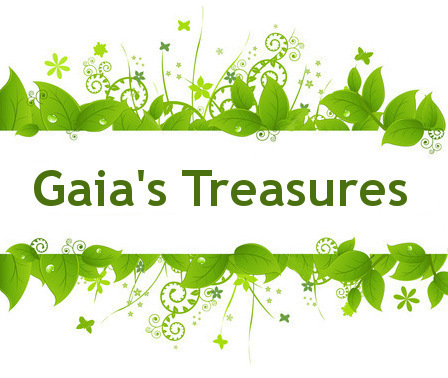 I was super excited to work with Gaia's Treasures for this giveaway. I received one of her brand new AIO's for this purpose. I did pay a tester fee to receive this diaper though! We got the sock monkeys print! But it also has a sleeve design so you can either stuff more into it OR it allows you to pull out the inner insert for faster drying time. First of all, I love this print. I have never seen it before. I'm usually not a big sock monkey fan, but I fell in love with this print and I'm super happy that it's now in our 'collection'. Secondly I just all around LOVE this diaper. It's very trim for an AIO, it fits his thighs PERFECTLY and is very absorbent. The diaper is microfleece inside so it's very soft and the inserts are made out of bamboo fleece. Bamboo is some of the most absorbent material so the fact that there are 6 layers in there makes it AMAZING!! This diaper claims to fit from 10-35 pounds which I think would be dead on. Since Emerson is on the medium setting and the smallest setting doesn't get much smaller, this wouldn't be ideal for a newbie newborn I don't think. Emerson is just about 20 pounds (or slightly over) so I think 10 is a good assumption. And there's still a lot of more snaps on the waist band still so this could definitely fit a chunky baby well. The diaper is a pretty fast dryer too despite having so many thick layers. I have 13 dryer balls that I use which does cut down drying time, but this diaper is still usually done in one dry cycle (about 70 minutes). When I hang it on the line this IS my slowest diaper to dry, but it still usually only takes a couple extra hours out there. So that's not so bad! She also offers some beautiful looking fitteds and she has a bunch of different prints to choose from on her diapers. This AIO comes in OS or it comes in a sized version as well. Price: $25. I think this is reasonable. 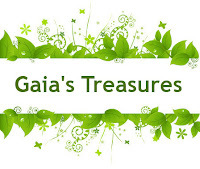 For Gearing Up for Baby, Gaia's Treasures is offering one reader the chance to win an AIO diaper!